Mobile Apps leak your personal data including device’s unique ID, information about network and software, your location latitude & longitude coordinates, your personal identifiable information like phone number and email address. In a recent post at Zscaler blog it is mentioned that private data of the users of most famous Mobile OS of today’s era like Android and iOS has been leaked via various apps. Leading Property site Lamudi launches world-first Android & iOS app in 28 countries including Saudi Arabia. Global real estate portal Lamudi has today launched an Android app to help house hunters in Saudi find property on the go. The app, Lamudi: Real Estate for Sale and Rent, hosts more than 400,000 property listings from Asia, the Middle East, Latin America and Africa. The app covers all the cities in Saudi – giving house-hunters a free mobile platform to buy, rent or sell real estate on a mobile device. The apps from Lamudi, a Middle East Internet Holding (MEIH) company, are designed to meet the growing demand for mobile internet services in the emerging markets. Android remains the dominant mobile platform worldwide, according to recent figures from Statcounter. In Jordan for instance, Android is the most popular platform, with Google’s operating system capturing nearly 70 percent of the local mobile market. But iOS is also on the rise. Lamudi’s Co-Founder and Managing Director, Antonius Salis, said: “Android is the future of the smartphone market not just in Saudi, but worldwide. For this reason, we have focused on rolling out the Android app to Lamudi’s 28 countries to reach the maximum number of users with our unique property platform. Both the Android and iOS apps have customized search functions, allowing users to easily filter results by country. A key feature of the app is the match alert function, which notifies users as soon as a property that suits their needs hits the market. Users can also create a list of favorites to bookmark properties, which can be accessed at any time and on any device. All listings feature high-quality photo galleries, detailed property information, maps, and multiple contact details for property owners or agents. House-hunters can also share their favorite properties with family and friends via Facebook, Twitter or email. I spent long time on Play Store in search of an app that can copy contacts from my sim card to my Gmail account. I found few apps that claim they can copy sim contact to another type of storage like phone storage or sd card. None of them worked for me, what I required exactly. 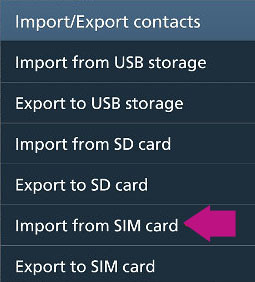 Most smart phone users might familiar with the fact that sim card contacts storage doesn’t offer enough features. Like adding multiple mobile numbers, adding an email address or picture or address of a contact person. These are features which are required in today’s era. There is an option to store such details in your phone storage as well. Most smartphones allow you to add pictures of contacts & email addresses. 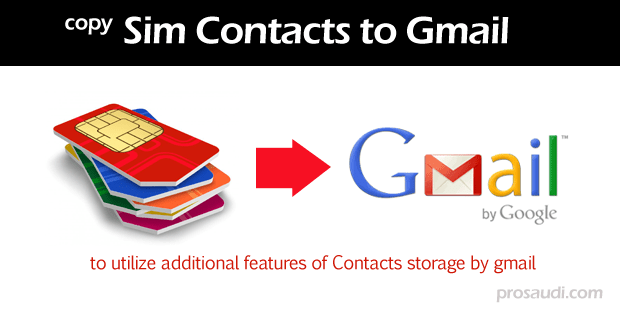 However I prefer Gmail (Google Account contacts) storage because in case you have changed your phone you don’t have to go through making a backup of existing contacts in your old phone and then import into your new phone. This may cause you loosing some of your data that is related with contacts. Smartphone manufacturers claim that their built-in apps can do the whole transfer process with ease but still I prefer to stay in the safe side and using Gmail as my default contact storage. Previously my contacts were in sim card storage so I required to copy them into Gmail account, upon failure in finding a perfect app for this at play store, I discovered a simple and straight forward step of accomplishing this task. I found this information in some google forums. Go to Contacts, tap on small menu button. Take a look at below screen shot for reference. I hope it will be helpful to you.